For various reasons, I have been slow to share my own thoughts with you about our USCCB meeting in Baltimore earlier this month. I needed time to sit and pray with all the events and input of the week. I am sure about two things, one; the People of God need to hear from their bishops in the wake of our meeting in Baltimore, and two, there is hope for our future. Let me be very clear, while this was a disturbing moment, and a troubling way to begin our meeting, Pope Francis cares very much about what we are experiencing in the United States. But, he also recognizes that this is a problem of the Universal Church, and requires measures that will apply globally. I’ll have more to say about this in a moment. The bishops are painfully aware of the many people, including ourselves, who want answers to how a priest, and later a bishop, who was ‘rumored’ to be engaging in immoral and abusive activities with seminarians and young priests, could rise through the ranks to eventually become a Cardinal of the Church. A motion was made during our meeting to encourage the Holy Father to release documents related to this case. This motion ultimately failed because after considerable debate, we recognized that the Holy See in October already made such a commitment. You can see the press statement here. In addition, we learned that the four dioceses where Archbishop McCarrick served (New York, Metuchen, Newark and Washington, DC) are all conducting their own investigations into this matter. We were also led to believe that the findings of those investigations will also be made public at some point. It is important for the people in the pews and the public to know that these investigations are now under way. We will simply need to remain vigilant in awaiting the public disclosures, and should it become necessary at some point in the future, to push for the publication of their findings. On the local level, in every diocese, there are now lay review boards, made up of professional men and women, who give invaluable counsel to bishops regarding all allegations of abuse of minors and vulnerable adults. Also, in every diocese, there are safe environment coordinators, and in both of my assignments as a bishop, these were / are women, whom I trust and consult with regularly. 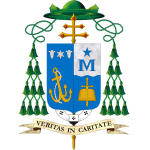 On the national level, we have NAC, the National Advisory Committee, again, made up of lay men and women who give valuable counsel to the bishops. 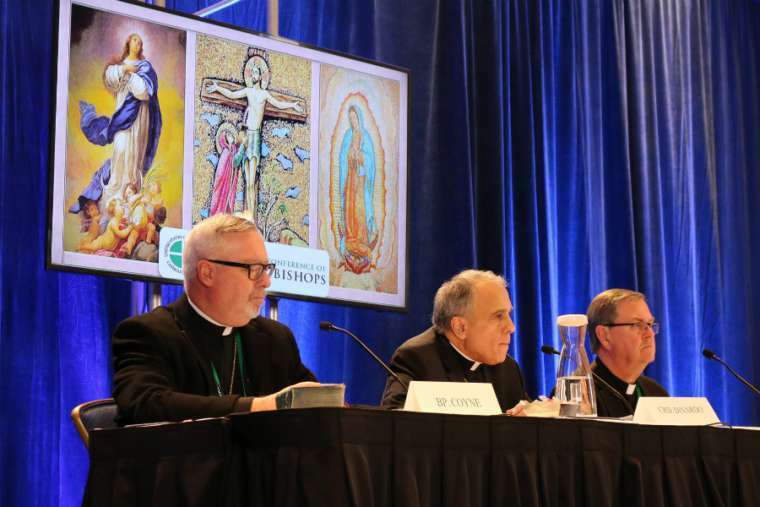 There is also the NRB, the national review board, who give strong recommendations to the body of bishops through the Bishops Committee for the Protection of Children and Young People. On the global level, there are more and more women holding offices in the Roman Curia and serving in various consultative bodies. Several women are also appointed to help in the preparations for the February summit. Granted, there is room and need for more of these voices, but they are present. Since the beginning of his pontificate, Pope Francis has been critical of bishops and priests. Some felt he was perhaps even too critical. Why the criticism? Pope Francis consistently calls clergy to greater holiness – to refocus our life and ministry on the life and ministry of the Good Shepherd, Jesus Christ. In short, his message to us is ‘No to clericalism’ and ‘Yes to service.’ ‘No more abuse of power.’ We are to reject all desire for power, pride and privilege. As much as Pope Francis has focused on reforming the Roman Curia, he is perhaps equally if not more interested in the reform of the episcopacy (the life of bishops). This focus of Pope Francis is, I believe, ultimately at the heart of his reasons for asking the USCCB not to vote on any new measures for addressing the clergy abuse crisis, and of episcopal governance. It seems this request was saying in part, ‘Do not get ahead of the universal Church.’ There is a need for the universal Church to recognize that this issue of clergy abuse is a universal problem, and it is now time to address it from a universal perspective. Thus, Pope Francis has taken the unprecedented step of calling for a summit in February, calling the presidents of every episcopal conference in the world to Rome for a three-day discussion on this one topic. In addition to this, Pope Francis appointed the Archbishop of Malta to the number three position in the Congregation for the Doctrine of the Faith. Archbishop Scicluna is the most reputable person in the Church today – the ‘top cop’ if you will, when it comes to understanding, investigating and handling clergy abuse and bishops who fail to take appropriate steps to work with victims and deal with abusers. His voice will be strong and instrumental in helping our Holy Father put appropriate Universal Norms in place for dealing with the crisis that has unfolded over the past few years. Finally, Pope Francis requested that the entire conference of bishops in the United States make an 8 day retreat together. He is even sending the Retreat Master for the Papal Household, Fr. Cantalamessa, to give the retreat. This, I believe, is most telling of all. The Holy Father does understand the need for universal norms to address a global problem in the Church, and I believe the summit in February will be a time of discussing and soon thereafter promulgating such measures. However, even more significant is the need for bishops to look beyond policies and procedures – to go much deeper – to the core of the problem – which is our own personal, fundamental need for interior conversion. He recognizes that the only way we can regain the trust of the people is to live and govern as good shepherds, faithful to Christ and the call we have received from him. To conclude, the discussions in Baltimore revealed a deep awareness and great desire on the part of the bishops to address the challenges before us. The recent actions and words of the Holy Father indicate a growing awareness on his part of the need for a universal response to this difficult moment in the life of the Church. Action is clearly needed on the part of both the USCCB and the Holy See. As I read it, there is cause for hope on this front, but, it does require more prayer, patience and perseverance on the part of us all.